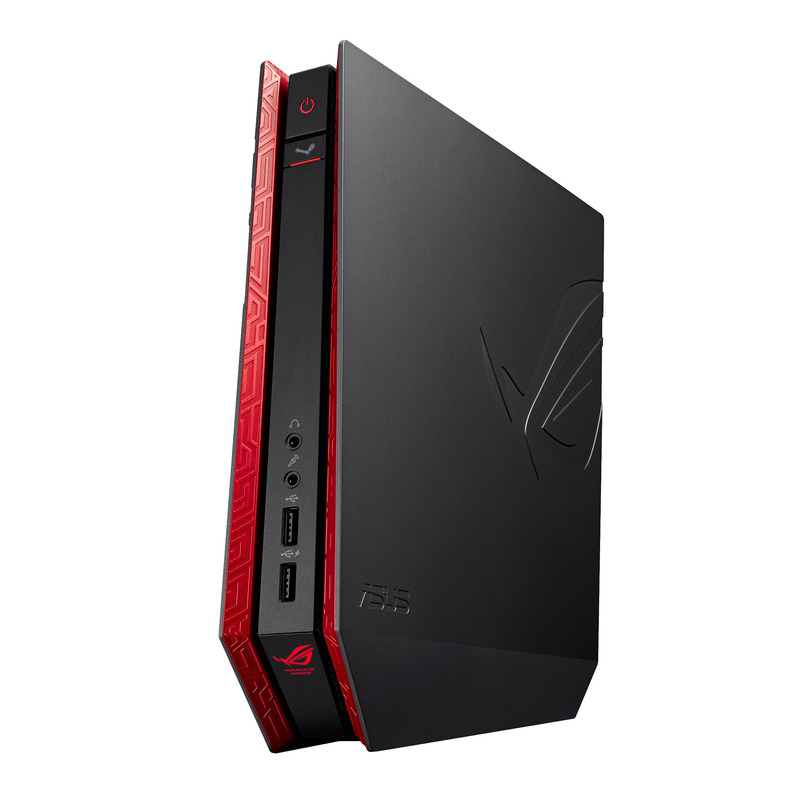 ASUSTeK Computer Inc., also known as simply ASUS, has presented the Republic of Gamers (ROG) GR6 mini gaming computer. 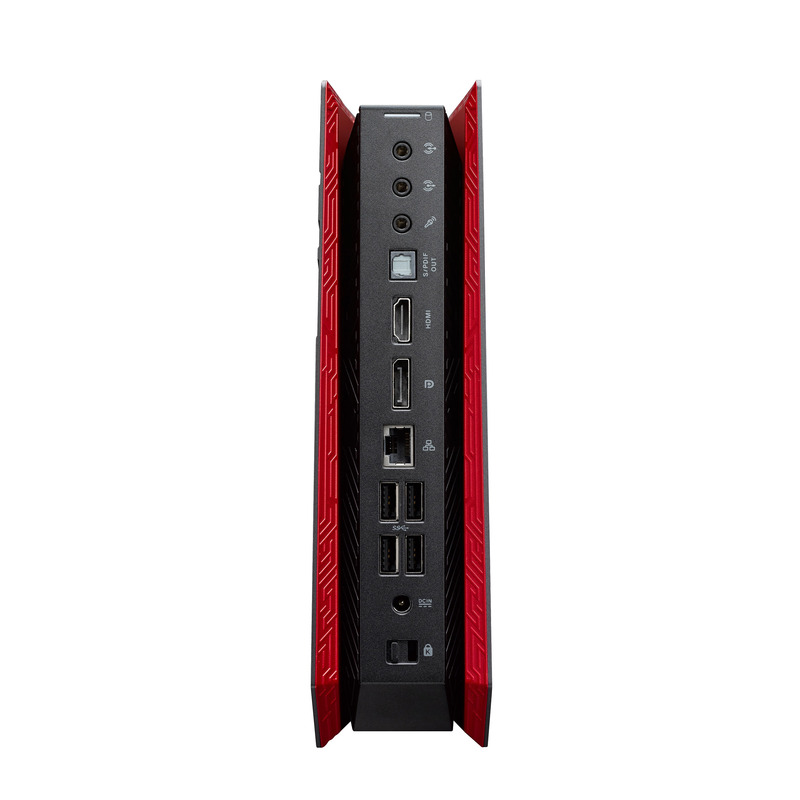 The new computer is so small it looks like a gaming console and measures just 238 x 245 x 60 mm. 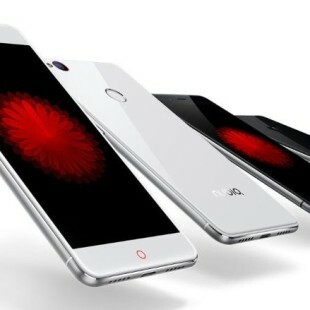 The device weighs 1.28 kilograms (2.8 lbs) and when in use sits in a vertical position. 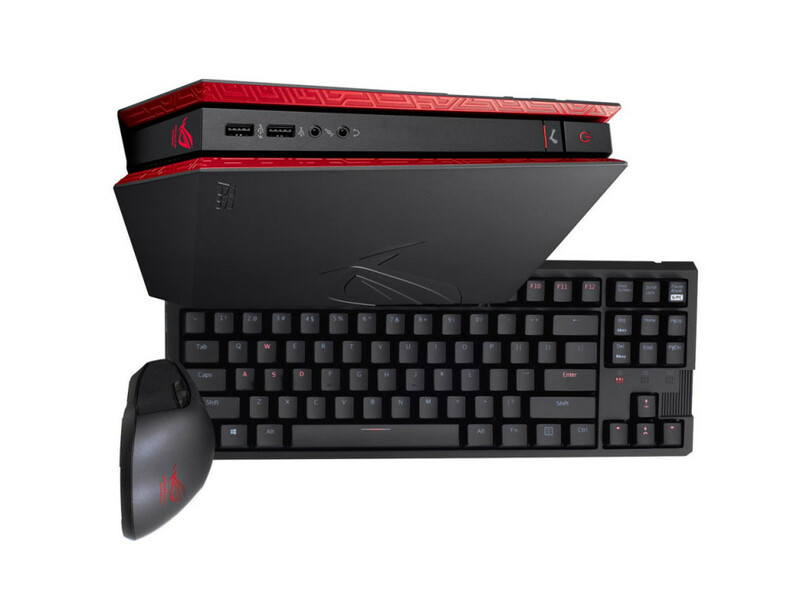 Despite its small size the ROG GR6 should not be underestimated – it comes with an Intel Core i5-5200U Broadwell dual-core processor at 2.2 GHz (2.7 GHz Turbo) that includes Intel HD 5500 graphics and TDP of just 15 watts. 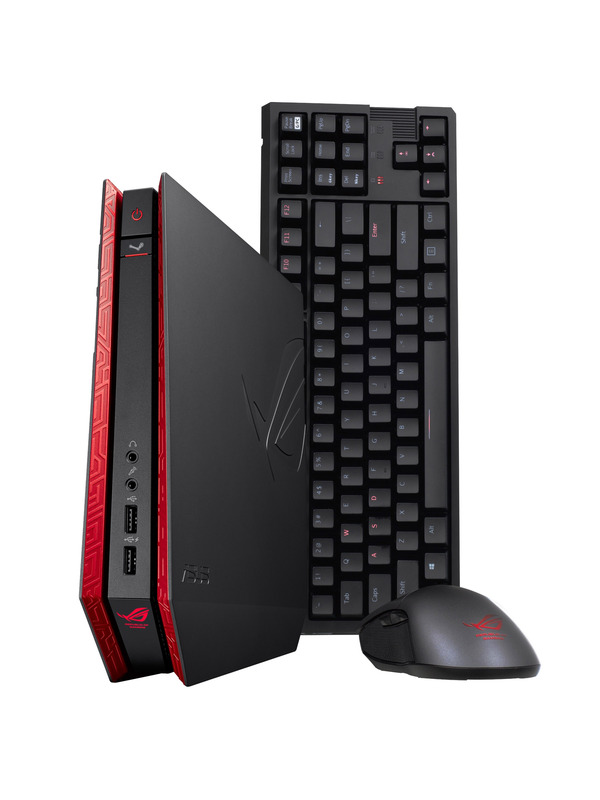 The computer also has a separate GeForce GTX 960M graphics card, 8 GB of dual-channeled DDR3L-1600 memory, a 1 TB hard drive at 7200 rpm or a 128 GB/256 GB SSD drive, Gigabit Ethernet and 802.11ac Wi-Fi. Finally it treats gamers with SupremeFX 5.1 HD audio. As to expansion the GR6 has four USB 3.0 ports, two USB 2.0 ports, an RJ-45 jack, 3.5 mm audio jacks, HDMI and DisplayPort ports, S/PDIF and a Kensington lock. 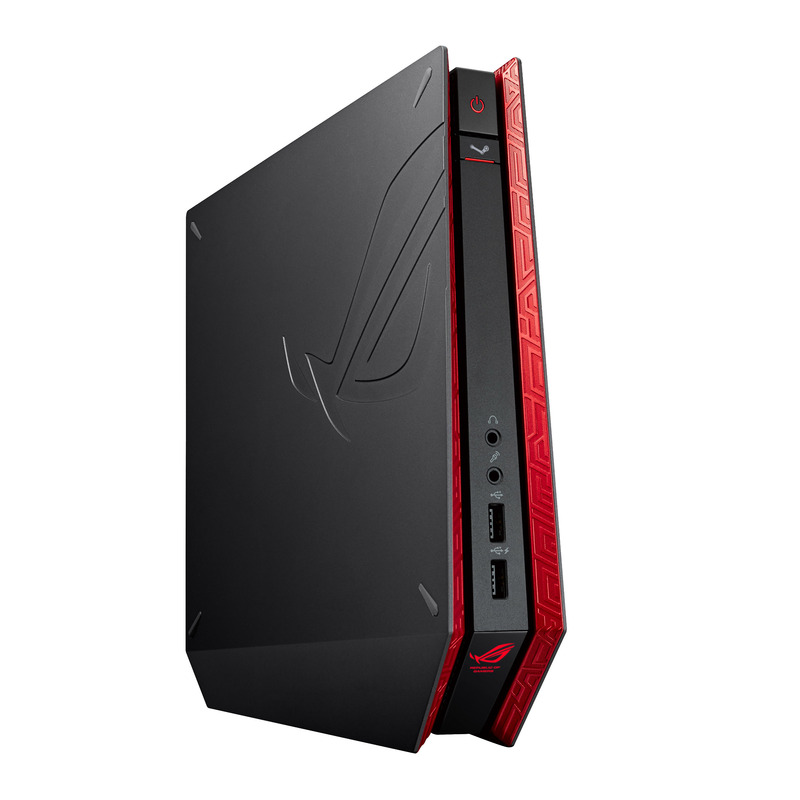 The gaming PC runs Windows 8.1 64-bit. 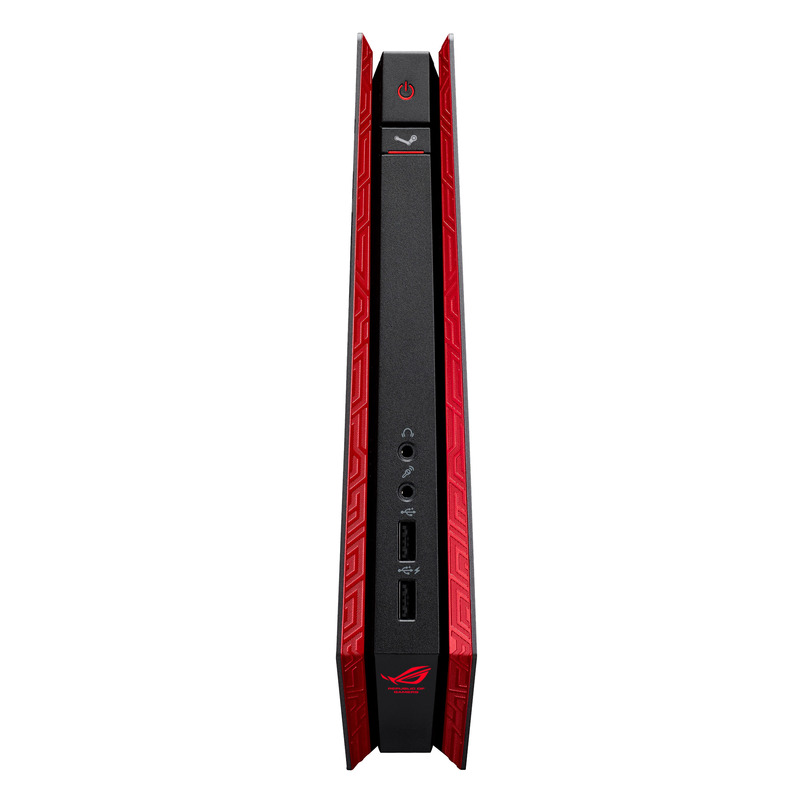 The price of the ASUS ROG GR6 is not clear as of now.